Heya! Do you love stripes? I personally think stripes will NEVER go out of style. 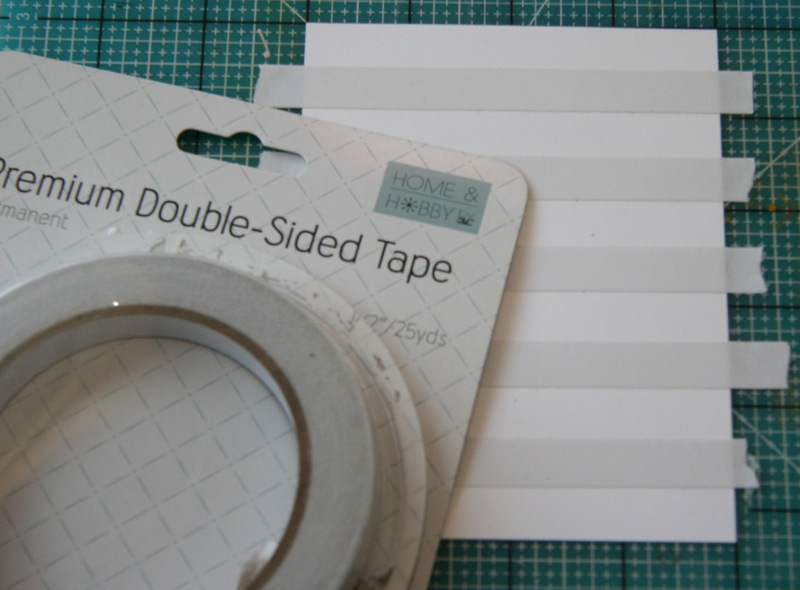 And do you know what is even better than stripes…creating your own striped paper with our Double-Sided Tapes! 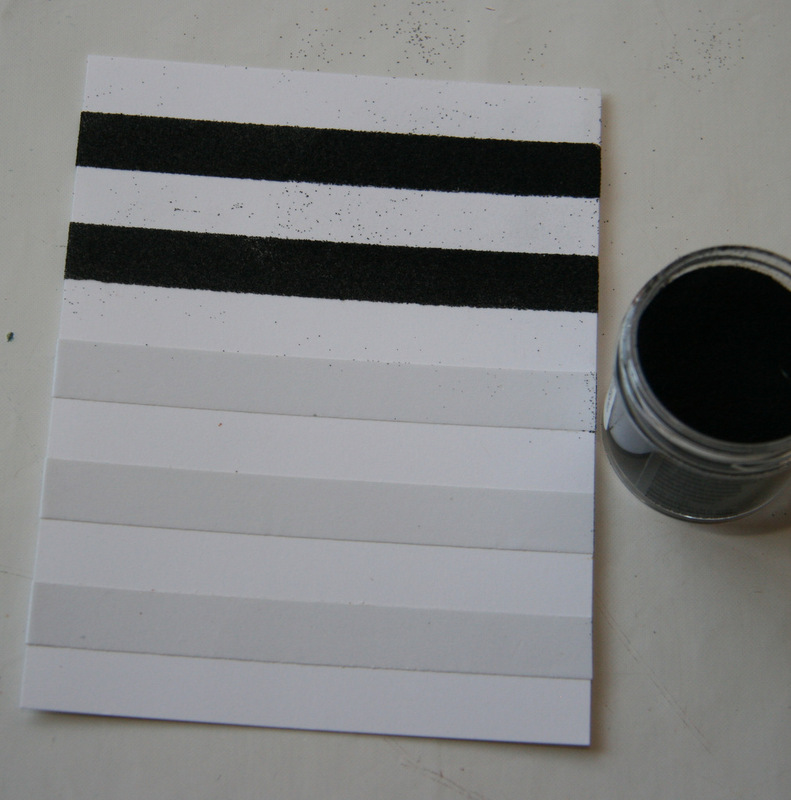 To get started, line your card stock up on your guidelines. I placed the first strip about 1/2″ from the top, and then placed the remaining every 1/2″. 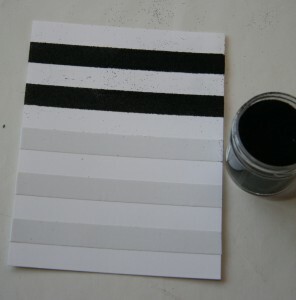 Working a few strips at a time, remove the backing, and cover generously with your embossing powder, then heat set. Continue until your background is complete. 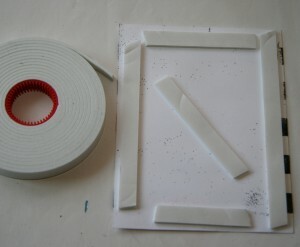 Flip over your panel and place a few strips of Crafty Foam Tape to pop up on your card base. I finished off my card with a stamped sentiment popped up using 3D Foam Squares and a layer of red to add some pop of color, along with some twine and a mini clothes pin. This entry was posted in 3D Foam Squares, Adhesives, Crafts & Tutorials, Crafty Foam Tape, HomeHobby by 3L, Premium Double-Sided Tapes, Tutorial, Wear your Adhesive on the Outside and tagged 3D Foam Squares Regular White, AJ Otto, Background, Card, Embossing Powder, IMAGINE Crafts/Tsukineko, My Favorite Things, Premium Double-Sided Tape 1/2", Stripes, Thank You, Wear Your Adhesive on the Outside, Wink of Stella. Bookmark the permalink. 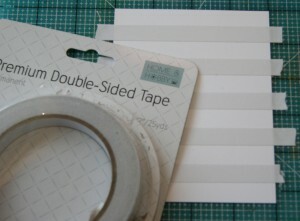 One Response to "Thanks So Much Card using Premium Double-Sided Tape"
Such a great card! I love the stripes!